Nokia Lumia 800 for Telus, Lumia 710 for Rogers in Canada. 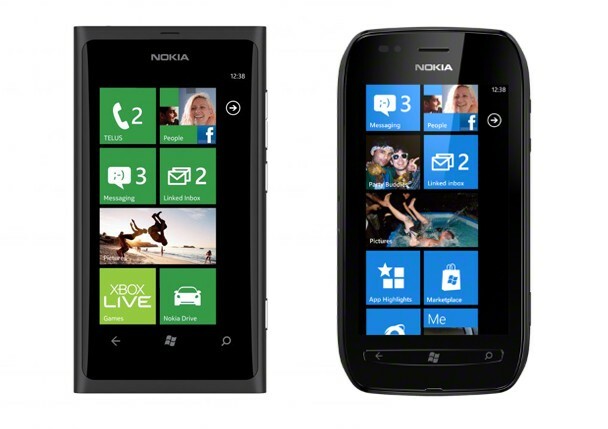 Nokia Canada has announced the availability of the first two smartphones in the Nokia Lumia family, the Nokia Lumia 710, available exclusively at Rogers Communications, and the Nokia Lumia 800, available only at TELUS. The bold Nokia Lumia 800 will be coming soon only to TELUS in black, as well as cyan and magenta options for customers looking to stand out from the crowd. The Nokia Lumia 710 will be available this February for $49.99 on select 3-year plans as part of Rogers' Smartphone Lite lineup of affordable devices. First two smartphones based on Windows Phone, the Nokia Lumia smartphones are equipped with the signature Lumia experience, Nokia Drive, which delivers a full-fledged personal navigation device (PND) with free, turn-by-turn navigation and dedicated in-car-user-interface. Both Nokia Windows smartphones run on Windows Phone 7.5 Mango platform. Nokia Lumia 800 comes with social networking connections to Facebook, LinkedIn, and Twitter right from the People Hub. Lumia 800 has Vivid 3.7-inch AMOLED, ClearBlack display with WVGA 800x480 pixels, 16 million colours and 2.5D curved glass. The device boasts a 1.4GHz Qualcomm Snapdragon processor, 512MB program memory, 16GB internal user memory, and up to 9 hours of 3G talktime. The 8 megapixel camera comes with autofocus and touch focus capability, dual LED flash, high definition 720p video recording with 30FPS and one touch image sharing. 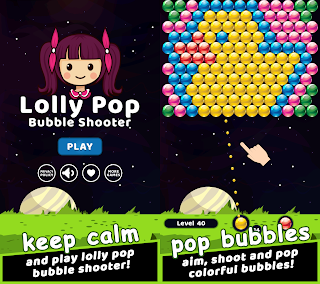 You can easily browse online with Internet Explorer 9. There's access to Microsoft SkyDrive for cloud storage, and access to thousands of apps in the Windows Phone Marketplace. Nokia Lumia 800 is available in vivid colours: cyan, magenta, black. As you may well be aware already, Nokia Lumia 710 boasts a 3.7-inch WVGA TFT, ClearBlack capacitive touch screen with pinch zoom, 800 x 480 pixels and 16 million colours. It comes with a 1.4GHz Qualcomm Snapdragon processor, 512MB program memory, 8GB internal user memory, 5 megapixel camera with auto focus, LED flash, high definition 720p video recording with 30FPS and one-touch image sharing. Its battery provides enough juice for up to 7.6 hours of 3G talktime. There's also support for Facebook, LinkedIn, and Twitter right from the people hub, access to Microsoft SkyDrive for cloud storage, and access to thousands of apps in the Windows PCanahone Marketplace. 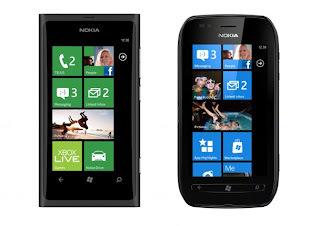 Nokia Lumia 710 is available in black, with optional Xpress-On covers in a variety of colours to suit your mood and style. 0 comments on "Nokia Lumia 800 for Telus, Lumia 710 for Rogers in Canada"